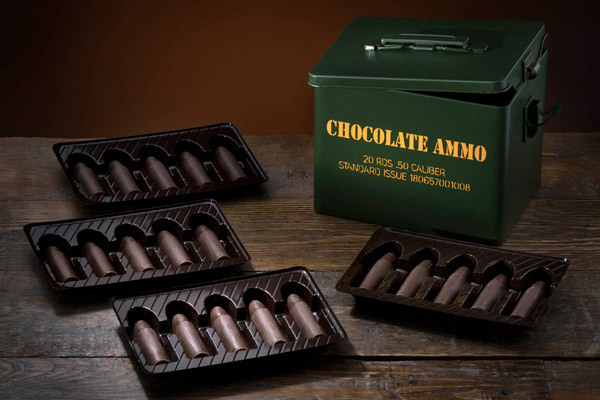 Chocolate Bullets in a Tin: Delicious ammo in a military-inspired tin. Everyone loves chocolate but not everyone loves floral boxes and cutesy bunnies. 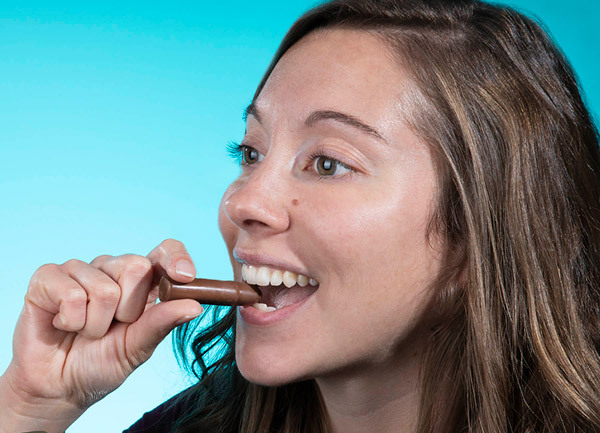 If you want to give candy that’s more boss than boring, give Chocolate Bullets a shot. 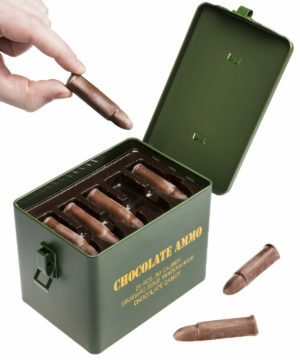 These cartridge candies are shaped like .50 caliber bullets and made of solid milk chocolate. Instead of a frilly box or a plain ole’ heart, the 20 candy rounds are housed in an army-style tin that looks like it came straight out of a mini military surplus store. It’s a sweet gift that’s as tasty as it is memorable.